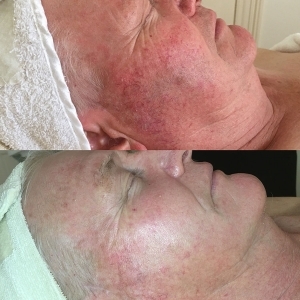 Paramedical Skin Revision - Universal Skin and Body - Australian DMK Preferred, Award winning, DMK PURE Skin Clinic in Melbourne, Hawthorn. 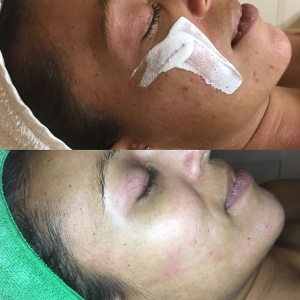 We choose to work exclusively with DMK for treating all skin conditions such as Acne/Problematic Skin, Pigmentation, Scarring, Ageing Skin, Dehydrated Skin, Xanthelasma, Millia and Rosacea because we are committed to providing superior results. Our focus is in individual skin rejuvenation programs to address these dysfunctions in the skin and to assist those wanting to maintain and improve their overall skin health. DMK has been “Rebuilding Skin and Rebuilding Lives” for over 40 years, in over 30 countries. As a botanical-based paramedical skincare range, DMK works using the revolutionary concept of REMOVE, REBUILD, PROTECT and MAINTAIN, aiming to match an individuals biochemistry with the appropriate skin therapy to re-educate the skin to perform in a healthy, youthful way. Our qualified clinicians will assess your skin during each treatment and create a treatment program appropriate for your needs. NOTE: Successful revision for any skin condition such as acne, rosacea, pigmentation, millic, age management, stretch marks and folliculitis will require a program of clinic treatments and consistent, committed use of DMK Home Prescriptive products including DMK EFA Ultra Supplements. DMK’s Award Winning, Signature Treatment utilises transfer messenger enzymes to enhance optimal skin functioning. By working with the internal systems of the skin, Enzyme Therapy helps the skin to function properly on its own. It increases circulation to bring vital nutrients and deep oxygenation to the skin and stimulates lymphatic drainage through reverse osmosis to flush through cells to help clear toxins and free radicals. All this whilst stimulating collagen production. It’s clear why DMK Enzyme Therapy has been voted the WINNER for Masks in Dermascope’s 2017 Aestheticians’ Choice Awards. Enzyme Therapy helps to ensure that the skin is stronger and that it will be more responsive to advanced treatments. Used on its own or coupled with DMK’s advanced removal systems to target specific skin conditions. 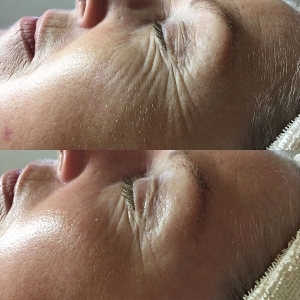 These treatments are designed to lift and tighten tired, sagging facial muscles by sending deep, contracting signals to the platysma muscle in addition to passively constricting the 57 muscles of the face. Desired by many for its instant tightening qualities, it is perfect for special occasions. This is also an excellent treatment choice for rosacea, red vascular skin, fragile capillaries or weak skin. (Combine in a series of weekly/fortnightly skin revision treatments for ultimate age management results). Designed to hydrolyse dead cell material by drawing water to the surface. This treatment will also dislodge and push sebum plugs to the surface and increase dermal hydration. Combined with Enzyme # 1 to improve skin functioning. Prozyme is a heat activated protein ingesting enzyme great for thickened, sun damaged or pigmented and congested skins. This exfoliation formula will remove excess accumulation of old, redundant cell material and pigmentation. Coupled with DMK’s Enzyme Therapy ensures optimal skin functioning, deep oxygenation of the skin and removal of toxins and free radicals. Skin will become softer, clearer and more responsive. Using a combination of powerful AHA’s and BHA’s, this combination of botanically based AHA and BHA ingredients performs a controlled micro removal of the epidermis. Coupled with DMK Enzyme 1, the skin will become instantly radiant and luminous whist benefiting from superior enzyme activity at a cellular level. Designed to increase healing, fight bacteria and encourage faster skin recovery. These treatments are suitable for acne, rosacea, scar revision and stretch marks. Utilising DMK’s advanced removal systems, enzyme therapy and DMK Actrol Powder. 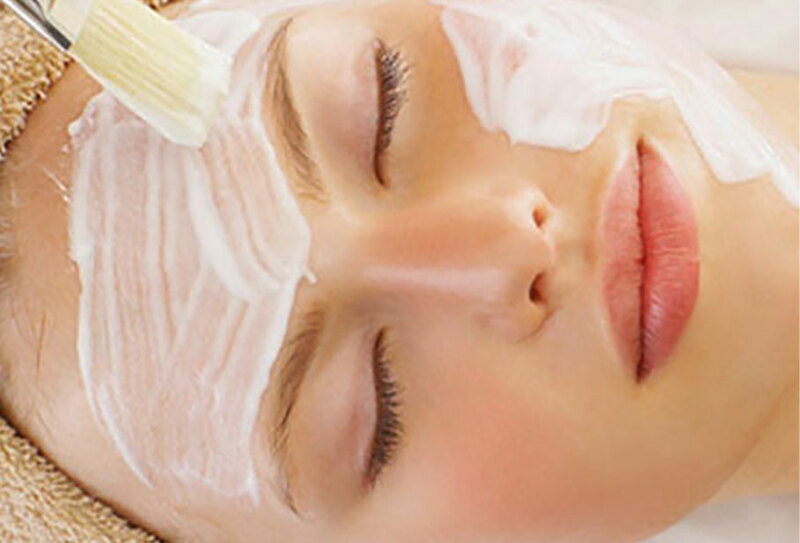 This treatment helps to dislodge acne impaction, clear pores and revises the texture of the skin. Suitable for treating a variety of skin conditions such as acne, open pores, sun damage and thickened skin. Utilising a combination of DMK’s advanced removal systems and Enzyme Therapy. The effects of ageing, stress and environmental factors can cause skin to develop an uneven colour and texture. It can become coarser, pigmented and imperfections may appear. This brightening treatment is designed to brighten, plump, hydrate , smooth texture and create a luminous complexion. Utilising DMK’s Pro Alpha occlusion which hydrolyses dead cell material, combined with Superbright and Enzyme Therapy. Gently exfoliates and brightens the skin whilst increasing hydration and improving skin functioning. Suitable for various skin conditions. Combining Desquamte, Pro Alpha occlusion and Enzyme Therapy. Suitable for hyper pigmented skins such as melasmas, uneven darker toned skin, passive and inflammatory pigmentation. This treatment utilises DMK’s Desquamate solution in combination with Melanotech Drops and Enzyme Therapy. Melanotech Drops is a potent formulation designed to brighten the surface of the skin in addition to addressing the core problem of pigmentation through inhibiting the production of melanin. 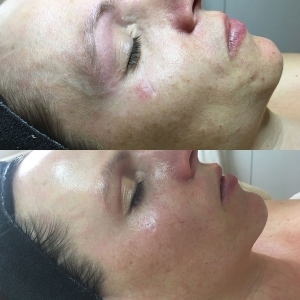 This versatile treatment is beneficial for a variety of skin conditions such as fragile capillaries, diffused redness, rosacea, stubborn congested areas and red/purple scarring in acne skins. Combining Red Vein Creme and Enzyme Therapy. An acne treatment protocol created to help flush and eradicate deep congestion and redness. Also good for fragile capillaries and red vascular scarring. 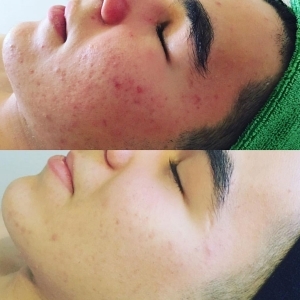 Utilising DMK’s Red Vein Creme which assists in the revision of broken capillaries and swollen veins by aiding to flush out stagnation by stimulating blood flow and strengthening capillary walls. This is combined with Dequamate and Enzyme Therapy. *Note: To assist in the revision of broken capillaries, swollen veins, permanent and intermittent redness and vascular matting we advise DMK Red Vein Creme for home use. You must have had six professional enzyme treatments prior to introduction at home. For bruising on the body it can be used immediately without the need for Enzyme Therapy. Great for open pores, sebum plugs and small areas of deep congestion. Utilising DMK’s Alkaline Wash to swell, soften and dissolve, Pro Alpha #1 to encourage trapped sebum plugs up and onto the surface and Enzyme Therapy to flush it away and strengthen the underlying structures. Designed to effectively and professionally address bumps on the upper arms, ingrown hairs on the face, chest, back, legs and folliculitis. Follicuzyme can be performed anywhere on the body for both men and women. Folliculitis and ingrown hairs are irritating concerns and are typically seen as a red rash with bumps or whiteheads. Utilising DMK’s Alkaline Ph Revision and Award Winning Body Enzyme to dissolve hair and the accumulation of dead cell material, releasing the follicle whilst soothing redness and inflammation. * Not suitable for those taking Roaccutane or Warfarin. An advanced treatment program designed to accelerate results when working with very congested skin, sun damage or age management. Combining a dual removal and Enzyme Therapy. To address the multifaceted condition of hyper pigmentation, this treatment has been developed using a combination of skin brightening, melanin inhibiting, anti-oxidant, anti-inflammatory, hydrating and skin strengthening ingredients. Used for pigmentation on the face, back of hands, décolleté or anywhere on the body this treatment combines DMK’s Pro Alpha, Melanotech Drops and Enzyme Therapy. Combining DMK’s Award Winning Enzyme 1 + Muscle Banding for the ultimate skin lift. This powerful combination helps the skin to gain a fresh, bouncy, youthful complexion. Great for a wedding or special event! A gentle, non-invasive treatment with supreme rebuilding, strengthening and firming properties. It can be performed on full face, neck and décolleté or aplied to specific areas such as around the eye or mouth area to revise fine lines, superficial wrinkles, and fragile, weakened or dehydrated skin. 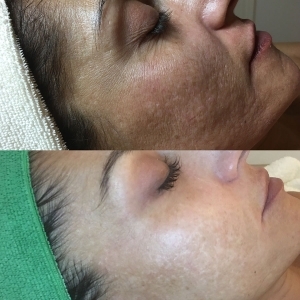 Combining DMK’s powerful Pro Alpha 1 and 2 Solution, Retosin and 2 X Enzyme Therapy Lift-Off Treatments, this is a mini program over 2 weeks. An exclusive and unique range of treatments which take the pH of the skin to the alkaline end of the pH scale. It acts to dissolve and desquamate hyper pigmentation, wrinkles, scars, razor bumps, acne and unwanted hair and calluses on the feet. It can be used for treating difficult conditions such as pigmentation, inflamed acne, rosacea, millia deep wrinkles, sun damage on décolleté, arms and legs, scar revision and stretch marks. These treatments combine DMK Alkaline Wash + Enzyme Therapy. 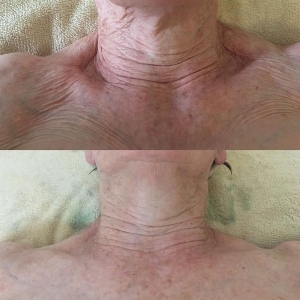 Depending on the condition being treated, alternating pH Revision with other treatments such as Hydradermaze will encourage the skin to respond more rapidly. *Note: Clients may experience redness, irritation, dryness and some scabbing after treatment and must commit to full DMK Home Prescriptives. Clients must exfoliate three days post treatment at home with Foamy Lift + Exoderma and/or Micro Peel. The DMK A-Lift is a 12 week Skin Firming Program designed to reverse the signs of ageing and improve the health of skin. It works by stimulating the underlying structures of the skin, eliminating redundant skin cells and tightening facial muscles whist also addressing redness and unsightly capillaries. Performed weekly over a 12 week period, the DMK A-Lift delivers specific formulations that work transdermally on the skin’s functions to encourage optimum performance. A resurfacing and skin remodelling procedure based on DMK’s philosophy to Remove, Rebuild, Protect and Maintain which aims to remove dead skin cells and instigate collagen development. Designed to improve the structural integrity of the skin and help revise skin damage back to a youthful, healthy state. 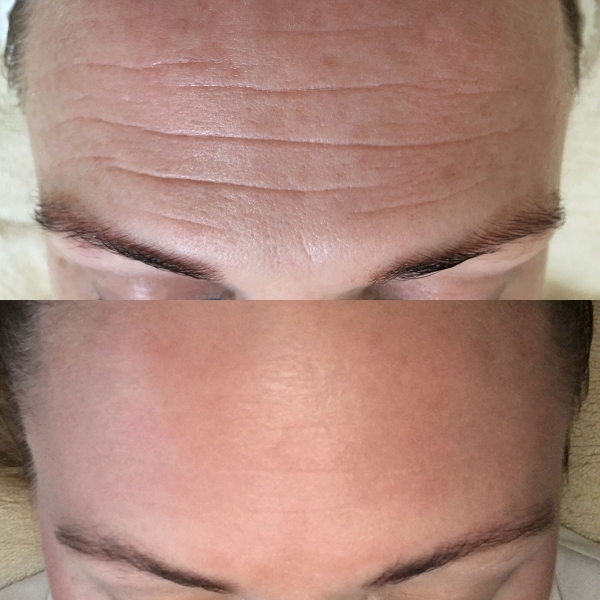 Using a synergistic blend of AHA’s and BHA’s that are applied systematically in layers, this peel can help to improve uneven texture, wrinkles, fine lines, pigmentation, sun damage and scarring. This intensive procedure will involve excessive skin peeling. Follow with DMK Muscle Banding for optimal results. A Remodelling Procedure based on Remove, Rebuild, Protect and Maintain philosophy to revise the architecture of the skin whilst addressing the underlying condition. The aim is to re-construct the skin and return it to a strong, healthy and youthful condition. Suitable in correcting the signs of photo damage, including wrinkles, pigmentation, sagging and surface roughness. 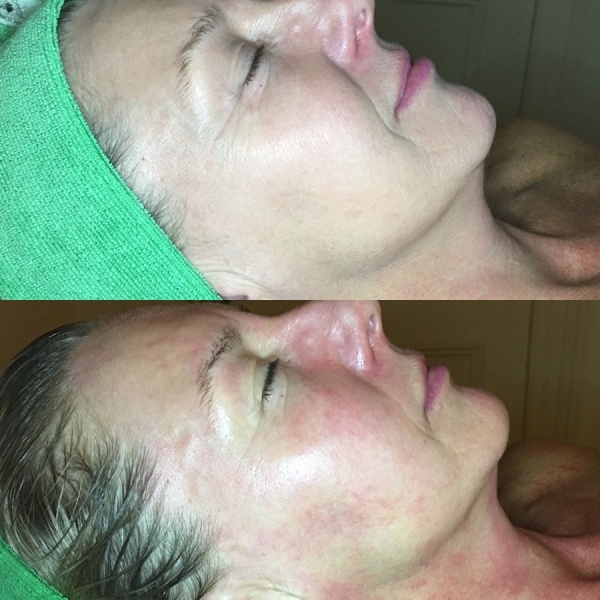 This is an intensive procedure and will involve bringing underlying pigment to the surface and excessive peeling. You literally changed my life and I have no choice but to acknowledge that every day when I look in the mirror. My skin is doing so well which is bitter sweet in a way because you have shown me such incredible results through my treatments but it also mean I don’t get to see you as much. That in itself is a testimony of the success of my journey with you. I love all my products and will never revert to anything else again!